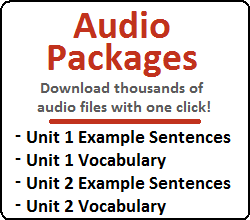 Click on the English word to see information and examples of that word in use. Use these sentences to give yourself a feel for how each word can be used, and maybe even to expose yourself to the grammar that you will be learning shortly. Notes: You often see Korean parents (or even more commonly – grandparents) fold up a blanket and wrap it around their waist with a space in the back for a baby to fit into. The name of that blanket is a 포개기. Notes: “금” (禁) is often used to denote the restriction of something. The syllable after “금” indicates what is being restricted. 주 (酒), which is in the words 맥주 and 소주 refers to alcohol. Another example is 금연 (禁煙), which refers to the restriction of smoking. When my wife was on a diet, she posted a note on our refrigerator that said “9시 이후 금식!” In this case, 금식 (禁食) refers to the restriction of not eating. 나는 반복되는 일상에서 무언가 새로운 자극이 필요했다. 그래서 나는 여행을 가기로 결심을 했다. 아일랜드와 지리적으로 매우 가깝지만 한번 도 가지 않았던 영국에 가기로 결심했다. = In my repeating daily life, I needed some new stimulation. So, I decided to go traveling. I decided to go to England, which, although geographically very close to Ireland, I had not been to once. 정신을 좀 차려! = Focus!/Snap out of it! Notice that it is hard to translate “정신을 차리다” in English. Notes: 옮다 is used when one catches a disease from somebody else. 옮기다 is used when one transmits the disease to somebody else. 등이 간지러워서 긁어 주세요 = Scratch my back! It’s itchy! 방과 후 can refer to something that is done after classes on a particular day, or during one of the vacations. For example, a 방과 후 수업 could refer to an class held after school (at like 6:00pm) or during summer/winter vacation. 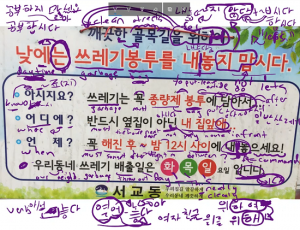 In the previous lesson, you learned how to attach ~게 to words followed by ~하다 or other verbs/clauses to indicate that one influences/causes/makes/lets an action happen. In this lesson, we will look at another way you can express this meaning. Let’s get started. As you can see above, it is difficult to come up with an accurate translation that would allow for an easy distinction between 감동하다 and 감동시키다. You can see this same phenomenon with many other words that ~시키다 is attached to. Below is a list of words (that I chose because you already know them) that ~시키다 is commonly attached to. 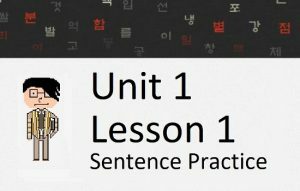 Just like I did earlier in the lesson, I have provided an example sentence for both the ~하다 and ~시키다 usage of each word. When looking at each example sentence, notice how the acting agent in the sentences using ~하다 is performing the action, but the acting agent in the sentences using ~시키다 is commanding the action. The only difference I can feel (and I’ve discussed this with Korean people) is that the usage of ~시키다 makes the sentences sound stronger – almost as if the subject is “forcing” the people to do something. In the examples so far, you have seen ~시키다 used only when attached to a noun. It is possible to use it as a standalone verb. I would like to talk about this next. The meaning of the verb “시키다” in this example is essentially the same as the meaning of ~시키다 when it was attached to a noun. In addition, it is also essentially the same as the meaning of ~게 하다, which you learned in the previous lesson. 밥을 시켰어요? = Did you order food? 뭐 시키고 싶어요? = What do you want to order? If you showed those three constructions to Korean people, it would be hard for most people to tell you which usage(s) is/are correct. In the first example, we see ~시키다 not used as a verb, but attached to 공부. This was the first usage I taught you in this lesson. In the third example, you see 시키다 used as a verb acting on the noun “공부.” In the second example, 시키다 is not attached to 공부, and ~를/을 is not used on 공부. This usage is technically incorrect, although most people (especially in speech) might omit the object particle. As a foreign learner of Korean, you will probably never need to make the distinction of which one is correct and which one is incorrect. 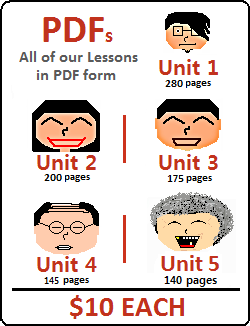 However, this is something that Korean high school students study in their Korean language classes, and I thought it would be good to mention here. A significant amount of time in Korean language classes in Korean high schools goes into the correct spacing of words (and the grammatical principles surrounding words). This spacing is called “띄어쓰기” and has now gotten me off on a tangent in this lesson. Time to wrap it up!